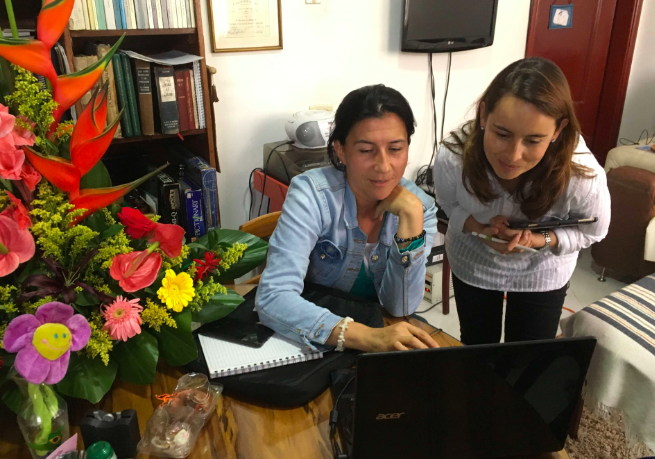 Sandra Taborda shows Accion's Liza Guzman how Ovante helps her maximize scale and profit for her business. Sandra is one of the participants in Ovante, an interactive digital platform with a vision to help microentrepreneurs build and enhance their business skills, grow their enterprises, and adopt healthy habits for using financial products and services. In 2016, Accion and FedEx launched an initiative to digitize Accion’s award-winning classroom business education program, making the program less expensive to deliver, more flexible, and more easily accessible for a broader audience.